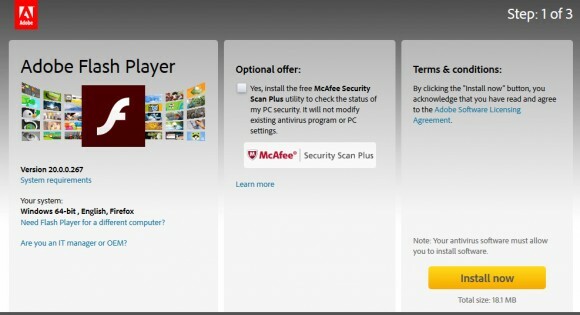 We all know that the Flash Player is full of security issues and Adobe has been desperately trying to fix these in order to prevent the misuse of the popular software for installing backdoors, trojans and other unwanted software on user’s computers. The company has been releasing update after update for the Flash Player, so is is wise to always be up to date with the latest version in order to prevent the use of exploits that may install software on your computer unwillingly and without your knowledge. It seems that some of the security holes in the Flash Player might even lead to crypto currency mining software installed on your computer without your knowledge and consent in the form of a trojan that will be mining for somebody else. There is a report of a user that has found suspicious software in the Adobe Flash Player folder that appears to be a version of the ccMiner software for mining on Nvidia GPUs that was highly likely installed through a security hole int he flash player. So in order to avoid similar issues you should check your version of the Flash Player and update if it is not the latest one, the current up to date release is version 20.0.0.267.